Cooking is about passion. When cooking from the heart, with the intent to please, happiness fills you up. Put passion and care into the cooking process, and add a little humor and patience. Send all the vibrations of goodness into the food, and see the smiles all around you. 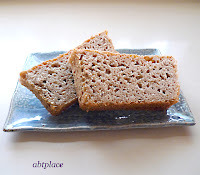 Use 100% whole wheat flour softbread for this recipe. 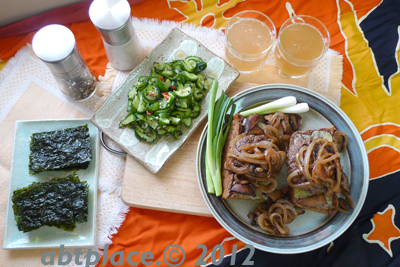 Any of other side serving for the burgers as vegetables, just prepare as you like. 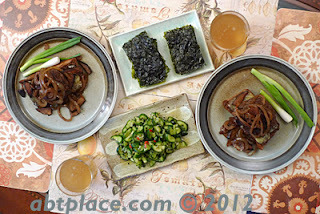 Enjoy cooking! First slice onion and mushrooms. Slice Cheddar cheese. 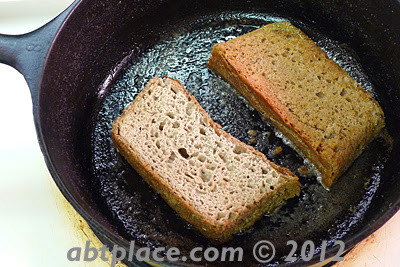 Heat the iron pan and add some butter, first place the sliced bread into the pan, grill it to light brown on each side. 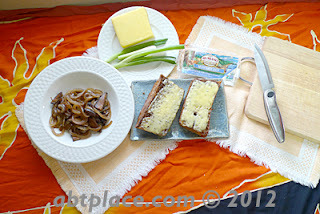 Then take the light browned bread and put onto a baking sheet and add sliced Cheddar cheese on top the bread. Heat the oven on high to broil until the cheese starts bubbling ~ It’s done. 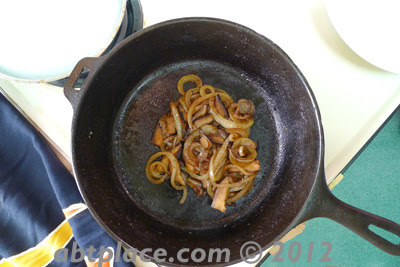 In the meantime, in the hot iron pan heat the butter up, add sliced onion to cook, then add mushrooms to together, seasoning with sea salt and black pepper. Turn fire on medium high until it is browned. Transfer to a plate. Now it’s time for the beef patties. 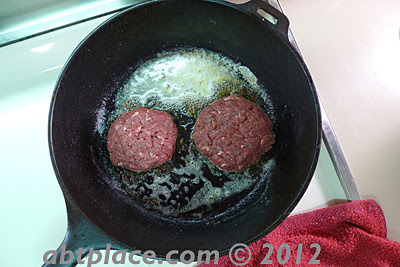 Continue to heat the iron pan with butter, place beef patties into the pan. About 4 minutes grilled on one side, then flip the patties to the other side for about 3 minutes, then grind fresh sea salt on top of the meat. Cover with a lid for a couple of minute, then it’s done. That is for medium rare. 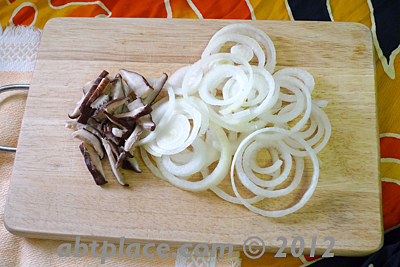 Remove the bread to the plate and top with the meat and add the onion, mushroom mixture on top. Serve with any other side dishes you wish. 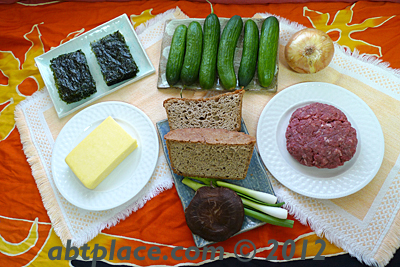 Hand chopped beef or ground beef? If have time, it is still better to hand-chop you beef for best flavor. When mixing beef with seasoning without salt, it helps to hold the beef juices in the meat itself. By the way: Remember to add a little bit of humor into the ingredients it will amaze you. Try laughing while prepping and cooking. Disclaimer: The contents on this website are for information purposes only, and are not for medical advice or diagnosis. Regarding your health and nutritional advice and needs, you should seek and consult your professional service provider.